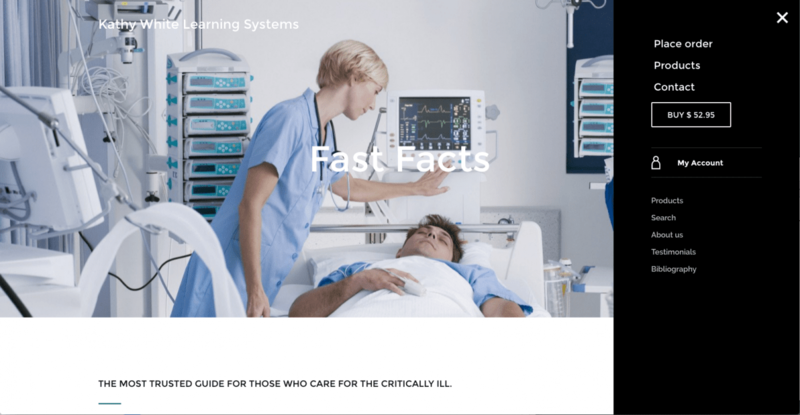 The author of Fast Facts for Critical Care, Kathleen White, RN, MS, has over 25 years of critical care and emergency experience, 10 years of national and international presentations on Trauma and Critical Care, and has been the writer/publisher for Fast Facts for Critical Care for 20 years. Kathy wanted to modernize her business with an updated eCommerce website so she met with Shoals Works Web Design to craft her evolution. Sales of her medical reference product have continued to increase as her website meets the needs of busy nurses.